What: Screensaver Series is a research and performance project with live dance and sound, experimental video formats and research towards a digital iteration of the work. The dancers work with a complex improvisational score which meets real conditions of floor, sound, audience, seeing/ not- seeing and weight exchange. The score includes a spoken text, physical exploration, sound coding and study of recurring forms in nature. This project phase will prepare the work for the next stage: a prototype download/ application for home computers/ tablet devices. Starting point: The project started with contextual research, thinking about how my work — which is usually for non-theatre spaces — might articulate with traditional viewing contexts. I started to think about the kinds of attentional contracts that are made with audiences in theatre spaces, and about some of the priorities of my work so far: accessibility including for people with cognitive differences/ disabilities, play, exploring learning and interactivity. Following earlier projects which explored intermedia formats (e.g The Performing Book) I began to think about the properties a dance might have if it were a screensaver, if it emulated the qualities and/or function of the screen- saver. The work: The dance develops through a complex set of instructions/ considerations: layered instructions about attention, physical contact, spatial and dynamic qualities and imaginative exercises using a drawn score. Much of the material comes from study of symmetries and this gives way to recurring forms in nature. Through physical practice exploring embodied experience, I refine the score in a multidirectional process, through noticing how the instructions are mediated by live conditions such as: quality of floor, sound, audience, seeing/ not seeing and weight exchange. The dance happens in between the score and the actual conditions of performance, as a series of mediations which produce an organic quality each time and remarkable similarity across performance. This sense of something playing out through sets of relational conditions/ conditional relations, has for me, many of the qualities of the screen-saver programme running through the computer. There is a sense of iteration under a name for the thing that we intend to happen, which will happen always differently according to the many factors that make it and affect it. In this sense the project remains live and within practice. The sound score for Screensaver Series, which is coded live by Jamie Forth, is being developed in tandem with the dance and uses similar processes and considerations. The dance and sound will work in performance in a symbiotic way, informing each other, with sound behaving at times like a spatial architecture or scaffold for the dancers to be in relation to. In June 2017 we tested this format through performance at MOCO, the Movement Computing Conference at Goldsmiths University, London. Videos: In May 2017 I worked collaboratively with Erik Axel Eggeling, a media artist, to explore prototypes for the third stage of the project: an actual screensaver. This research resulted in a cycle of videos which were shown at Brighton Digital Festival 2018. In experimenting with the screen-saver aesthetic and scales of distortion/ augmentation in these videos, I came to understand them as a series of documents, of mediation between the input source (rehearsal video of the dance), processing layers (instructions to the software to do certain things to that material) and the computer’s hardware e.g processing speed. Each video is different and a negotiation between these three parts of an equation. Thanks to — Charlie Ashwell, Es Morgan & Erik Nevin for development through previous iterations. 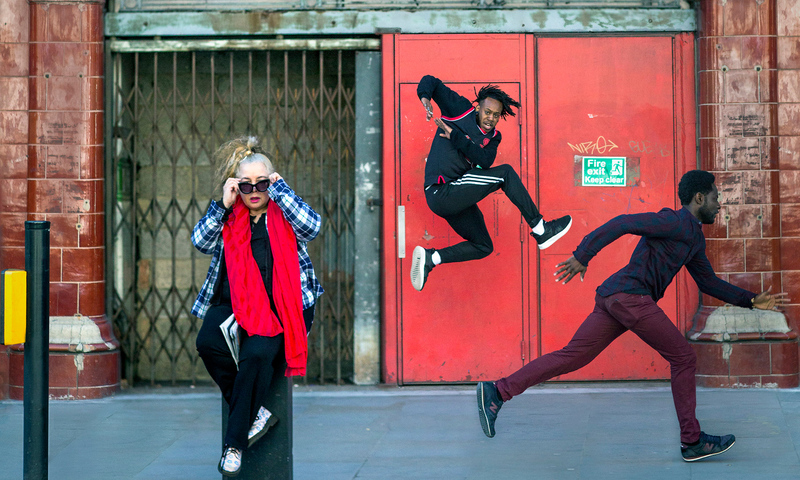 Supported by: Middlesex University ResCen Network, Dance Umbrella, South East Dance, Siobhan Davies Dance and using public funding by the National Lottery through Arts Council England.